Combine a series of three images with different exposures to HDR photograph. 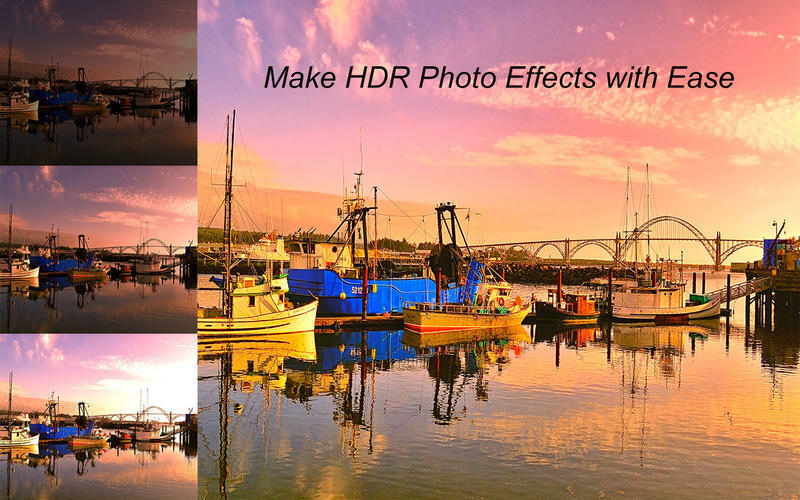 Multiple presets of HDR filters to present different HDR images with breath-taking outputs. 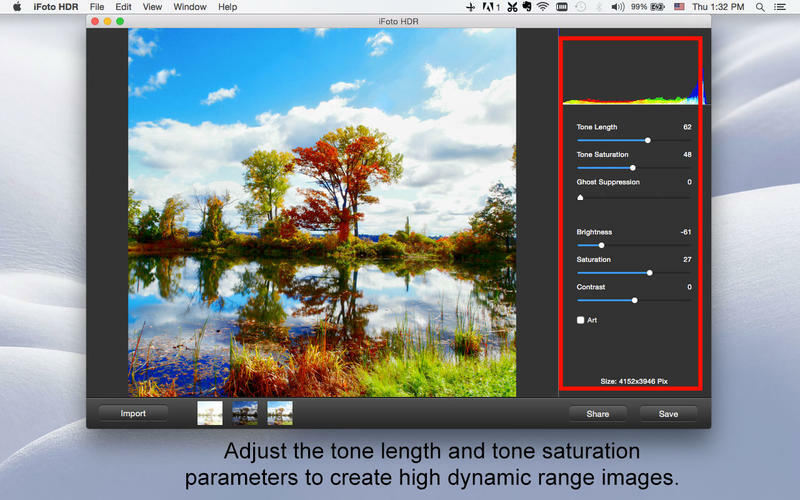 Adjust the tone length and tone saturation parameters to create high dynamic range images. Ghost suppression to ensure a final result of HDR merging with moving device and people. Color management of the HDR photos by adjusting the brightness, saturation and contrast to get a satisfied result. Easy to compare the original images with HDR result photos by the user interface. Advanced tone-mapping algorithms of HDR software to get awesome results. Automatic HDR sequences to align photos, both taken by HDR cameras handhold and tripod. 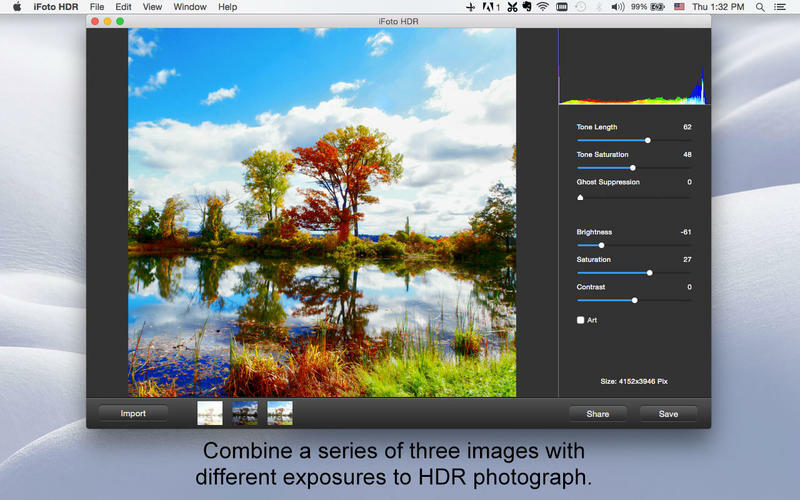 Multiple shortcuts to enjoy a nice experience for HDR processing, like zoom-in to check the detail about HDR image. It is a HDR program supports multiple of photo formats of different HDR cameras. Share stunning HDR photos to Facebook, Twitter, Flickr and other social network sites. Save the HDR images to Mac computer in different photo formats. Developer: Hangzhou Win Wealth Info & Tech Co., Ltd.